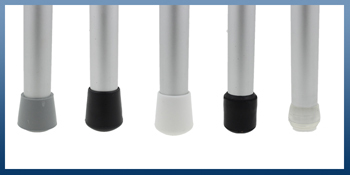 Stop Your Chairs From Damaging & Scratching Your Floors - Use Our Chair Ferrules! Most commonly used on the bottoms of tables & chair legs, ironing boards & ladders for protecting your floor from damage. Sizes from 5mm to 35mm available. 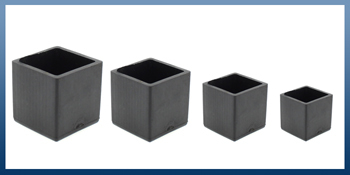 Threaded tube inserts most commonly used on the bottoms of tables & stackable chair legs, desks & ironing boards for protecting your floor from sharp tube edges. 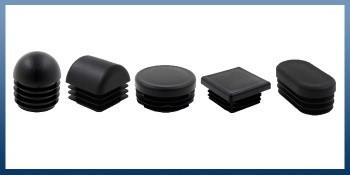 Protect your floors from damage with our range of square shaped rubber feet for the bottoms of chairs, tables & other furniture. Sizes 16mm to 45mm. 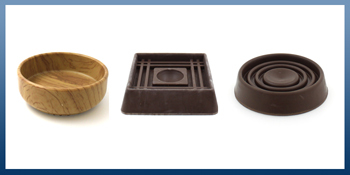 Protect your wooden or laminate floors from damage & prevent your furniture from moving around with our range of caster cups in various sizes & materials. 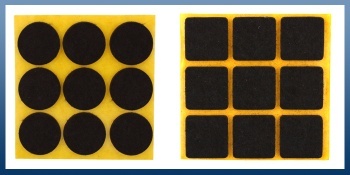 These self-adhesive felt pads are an excellent solution to noisy furniture being dragged across a wooden floor and available in round, square & rectangular. 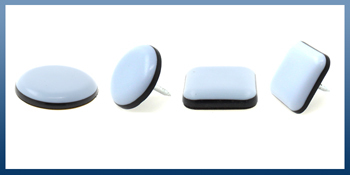 These PTFE Teflon coated glides are designed for minimum frictional resistance and lubricity when moving furniture & appliances. Designed to enable easy movement of furniture for all internal floor types, your furniture will almost feel like it's on wheels! 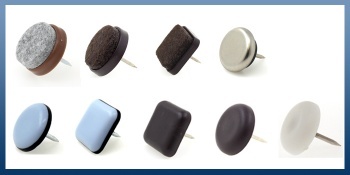 These nail in feet with pads are a simple solution to damage and noise caused by wooden furniture being dragged across floors. 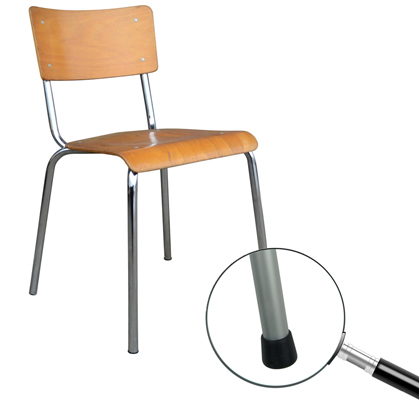 Easy to install, simply nail onto the bottom of the chair or table leg.